Beauty In The Mirror: Have you heard of DHC skincare?? 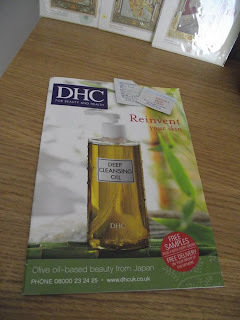 Have you heard of DHC skincare?? Ok ladies if you havent heard DHC skincare brand then you need to check out their site!!! This is a Japanese skincare brand which has a secret ingredient- OLIVE OIL!!! Yes you read that right OLIVE OIL :) They swear by this and the benefits which Olive Oil give to the skin. Their skincare range is free from parabens and unnecessary fragrances and colourings, and is clinically tested for irritants in their Japanese laboratories. I know your next thinking cost... Japanese skincare=££££££ but in actual fact I personally dont think so and I think their skincare is well worth the pennies and is defo an investment. I came across this brand by pure luck... I recieved a catalogue through the post which included 4 FREE samples from their range. Their Famous Deep Cleansing Oil, Velvet touch, Concentrated eye cream & Extra Night time moisture. I`m still using the eye cream in the evenings for a week now. Their Cleansing oil is a larger sample and I got just under a week out of it. I was very precise in opening the samples and used a pair of scissors and snipped the corners off rather than use the tear on the side of them. Waste not want not hey ladies?? I loved their famous Cleansing Oil ( £16.50 ) and after using it for just under a week i was pleasantly suprised the difference it made to my skin. It looked and felt radiant and brighter for sure!! It no way leaves your skin oily or greasy but really feels like its cleansing and moisturising deep within and its only a cleansing oil!! This would last for months, it comes in a 200ml pump form ... now that will keep you going!! You need such a small amount and you warm the product in your hands to activate it and then it glides on your skin. I used their Extra Night time moisturiser ( £19.50 ) which I have to be honest wasnt anything major... dont get me wrong it was lovely and the consistency was nice and my skin felt lovely in the morning but compared to Lacura Night cream ( £1.99 ) it wasnt much different so Im sticking to the cheaper one for now! Velvet touch ( £12.50 ) is amazing and is on my wishlist, I must admit I`ve never tried a Make-up primer so was intrigued by the formulation. When I squeezed some out to try, at first I thought it was gone off! BUT no dopey me its meant to be like that. The best way I can describe it was dried melted candle wax. Once on though it felt amazing and certainly lived up to its name- Velvet Touch. 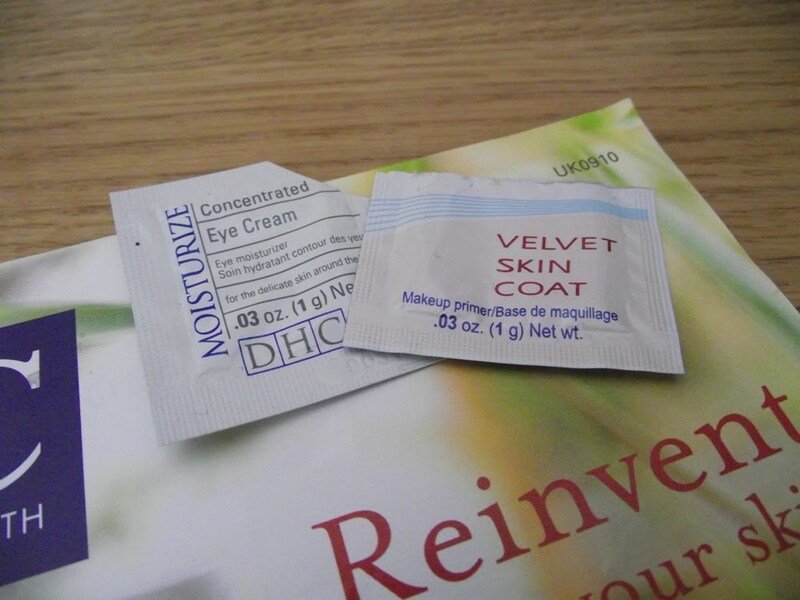 Im still using the Concentrated Eye cream ( £19 ) and I have to admit my eye area looks and feels more moisturised but nothing else special which Other branded eye creams have done in the past. I would recommend you check out the site and order a catalogue which includes a gift certificate or you can pay £2 which ok at first I thought cheeky. BUT you recieve 4 of their samples which I think you can pick. Also once you make your first purchase you then recieve monthly catalogues and a free sample included. I think this is a great way of trying out other products from their range or saving them up for hoildays/travel.